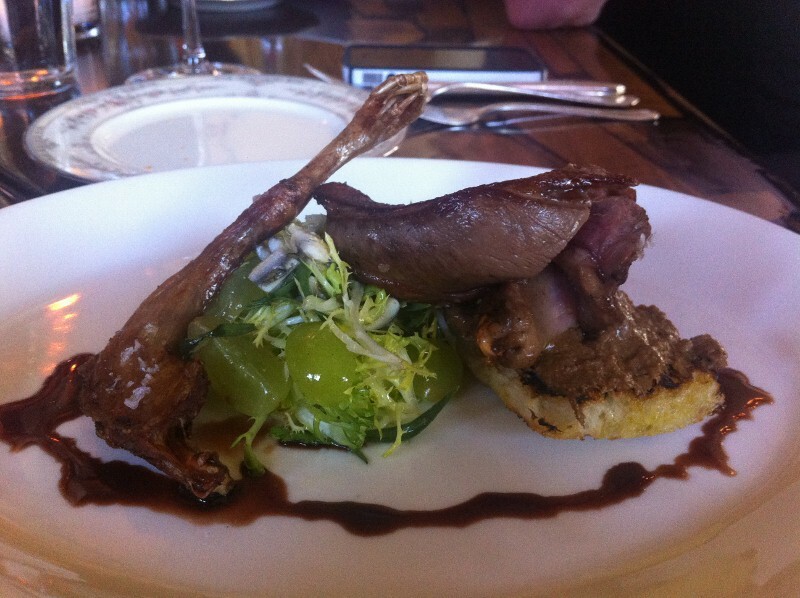 Typically dining on Pigeon would not be on someones top things to do in Portland list. 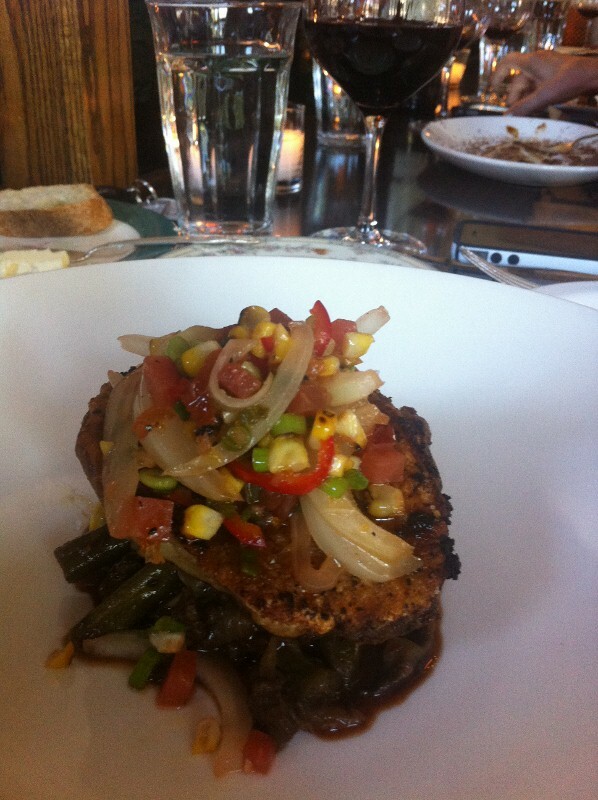 But, I really wanted to dine at Oregon’s Le Pigeon because they were known to have pigeon on their menu. And my extreme lameness wanted to be able to say that I “ate a pigeon at Le Pigeon”. It was purely a bonus that their menu was also filled with other offal; duck heart, pork cheeks and foie gras profiteroles. It’s like Christmas came early. 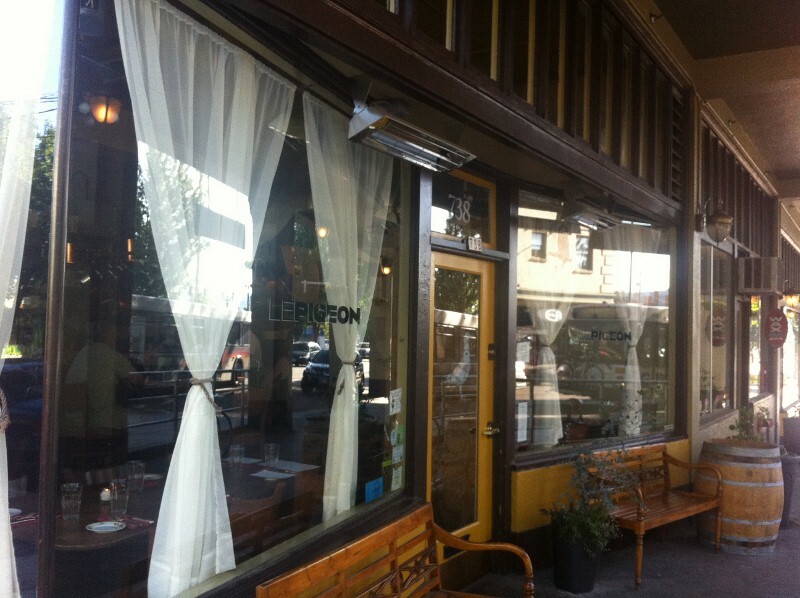 Le Pigeon is a French-inspired restaurant in the city of Portland, that caters to the adventurous eater. Lucky me. 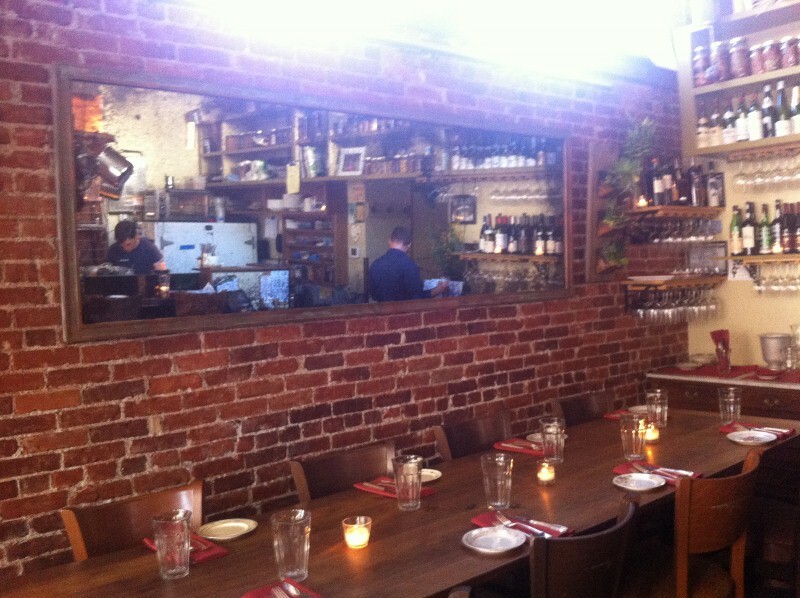 The restaurant is an Intimate dining experience with one large communal, bar seating and a couple of regular tables. As always, we sat at the bar where we could watch our meals being prepared in all of their offalness. Maybe I could pick up enough tips to learn how to make my own pigeon at home, for my next dinner party. Who wants an invitation? 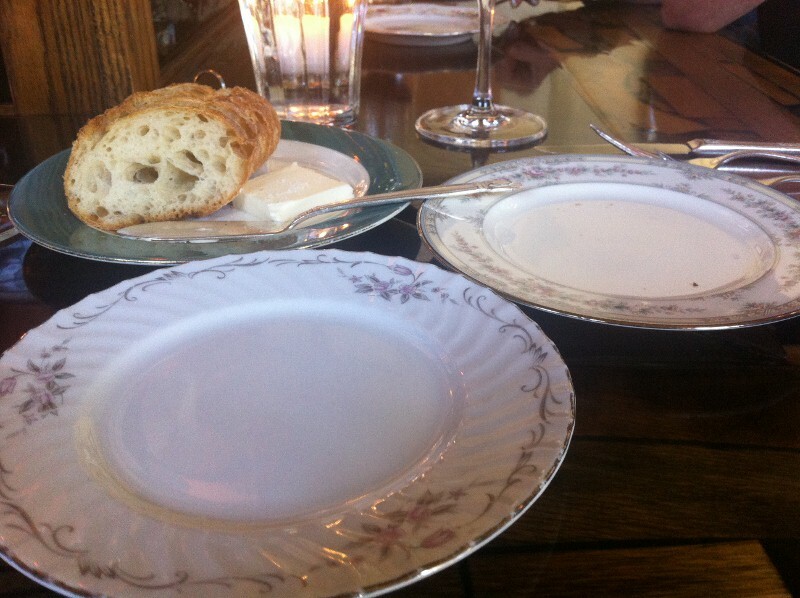 The mismatched plates and silverware typically mean thrift store, but here it was charming and fitting. First Course: Pigeon with Liver Toast, Grapes and White Anchovies. At least I know I like grapes. Pigeon is one bird that has never been a meal of mine, and for good reason, visions of poop ridden roofs will forever invade my mind even at its mention. The dish arrived, and once the protruding crispy claw was put into the back of my mind, it was actually kind of pretty for a pigeon. Though I was expecting it to taste similar to a cornish game hen, it didn’t. 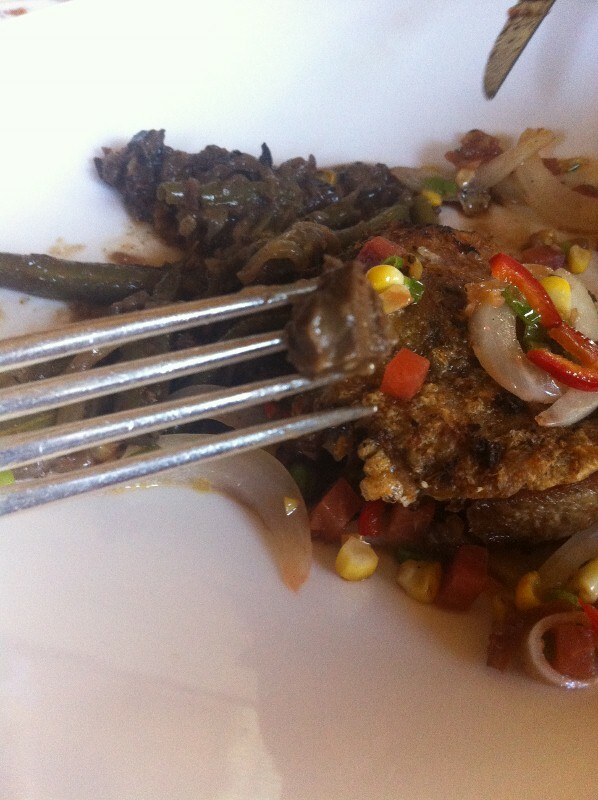 It was a cross between duck and filet mignon, both of which I enjoy. I suppose now would be a good time to admit that I enjoyed eating poopy, crispy clawed pigeons too. Second Offal Course: Slow Roasted Duck with a Duck Heart Casserole. After this dish was delivered, I immediately pulled the server over to identify which was the heart. 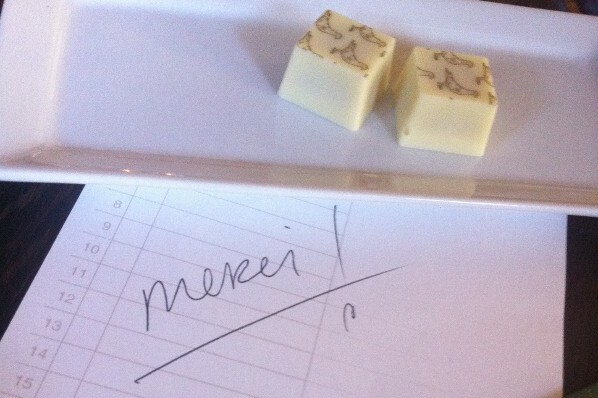 There were small cubes scattered throughout, but I still picked them out one by one to eat. I like to know what each animal part tastes like on their own, before diluting them in mashed potatoes. Ducks heart tastes like a delicious mild short rib. Again, not what was expected. There was also a third course of Grilled Pork Cheeks with a Feta Creamed Chard. But, it seems pointless to mention since it is known that cheeks are my favorite of all the offals. So far. Fourth Course: Foie Gras Profiteroles with Caramel and Sea Salt. 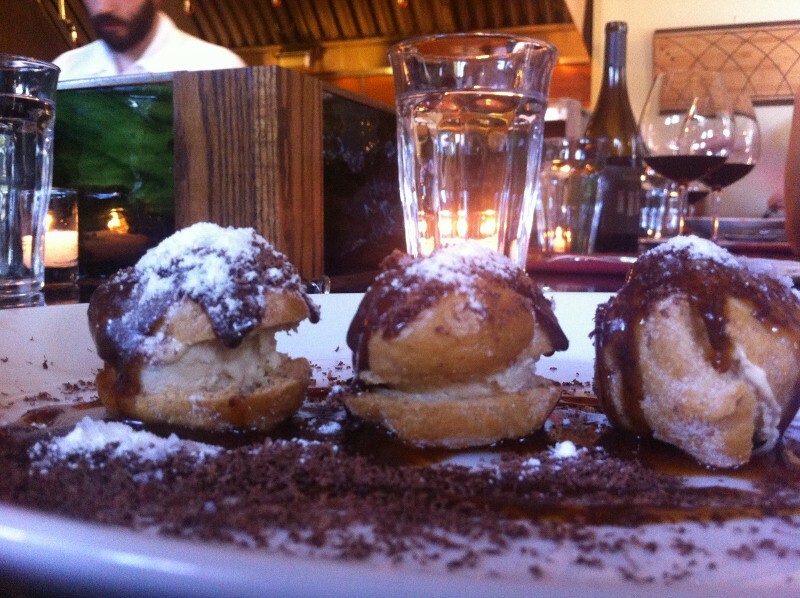 Just when I thought the adventurous eating experience was over, there were foie gras profiteroles on the dessert menu. Sounded Odd. I’ll take one. 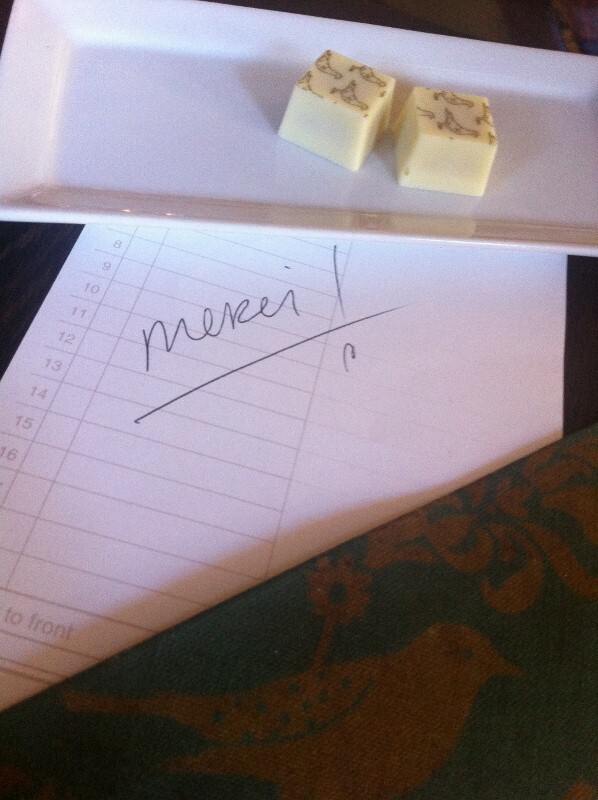 After cleaning our plates we received a Merci with the bill and two white chocolate truffles with apricot jam that were stamped with little pigeons. Merci to you Le Pigeon. Dining at Le Pigeon is an experience. One that you must have. It would not be my everyday Portland eatery (I’ll reserve Ox for that), but a once…or twice… In a lifetime treat. Have you ever eaten pigeon, heart or cheeks? Would this meal be on your bucket list? No, I've never eaten these delicacies and they haven't been on my bucket list. Until reading this, I probably would steer clear of pigeon, heart and cheeks. But you've made everything seem quite inviting. I might just try them — if accompanied with very good wine. I'm thinking I need to plan a trip to Oregon! Until recently, I didn’t even know that people ate pigeon! I don’t think it will be my everday meal, but I’m not afraid to try in again. Portland is AWESOME! That's a lot of courses! It sounds delicious though. I love trying new meats. I had alpaca the other day and I'm on the look out for some guinea pig now! I wanted to go to this place so bad!! The timing just never worked out. Plus they told me I couldn't do the tasting menu if I was dining alone… and well, if I'm eating at a place like this, I'm definitely doing the chef's tasting menu. I hope you get the chance to go, it was such an adventurous eaters treat! Alpaca is absolutely delicious melt in your mouth kind of meat! Highly recommended! Guinea Pig, well I'm glad I tried it but unsure if I really want to try it again, It had a weird fishy undertone! And it was served up all splayed with a fiery looking pepper in it's mouth! The profiteroles were a delicious surprise. I had never had Foie Gras as a dessert. Cheeks are one of my favorites!